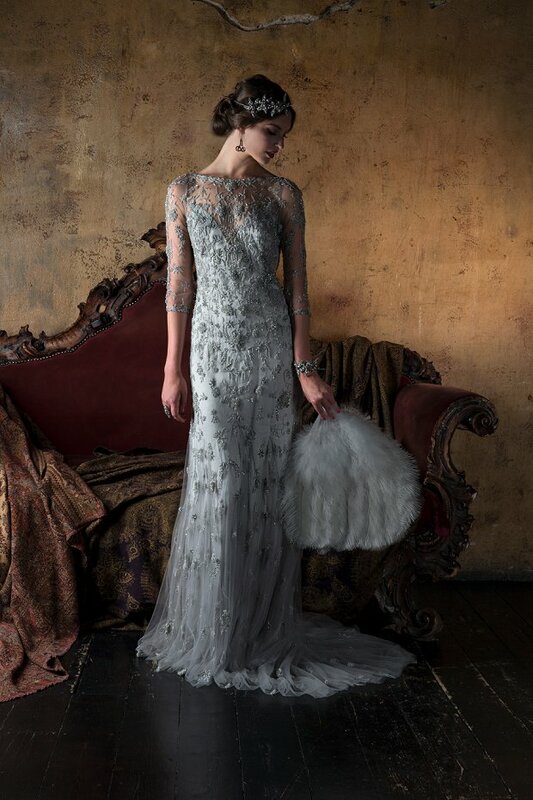 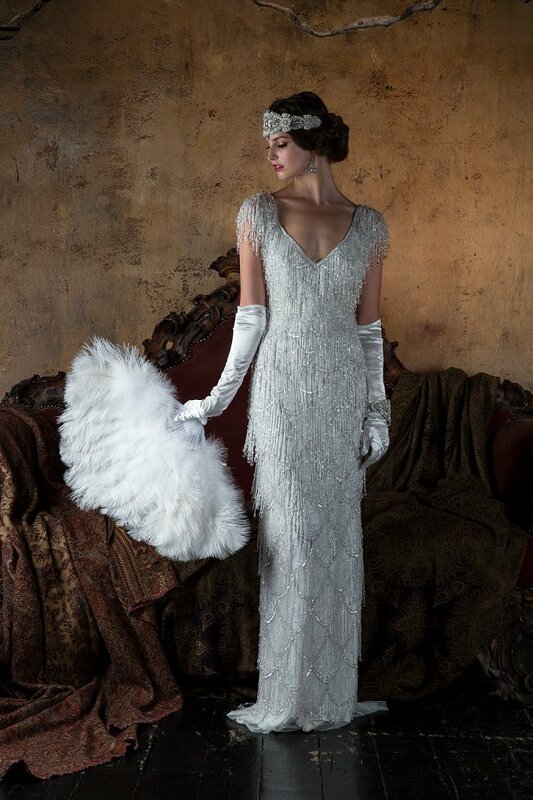 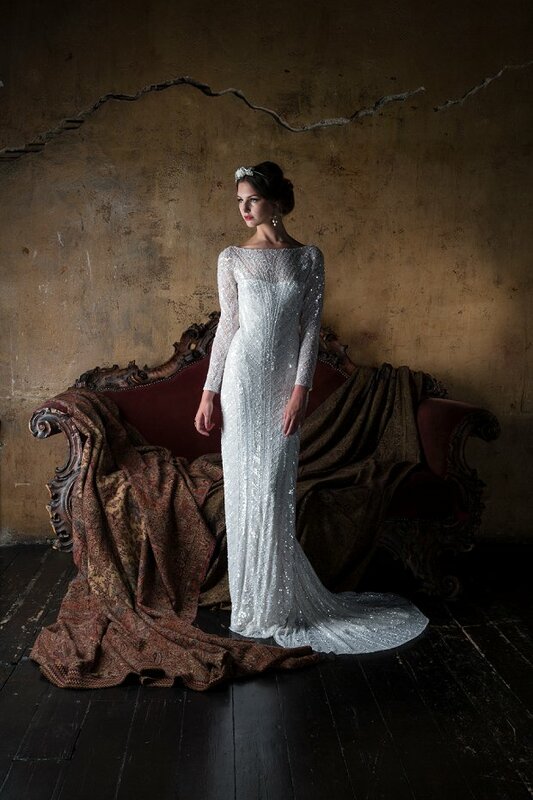 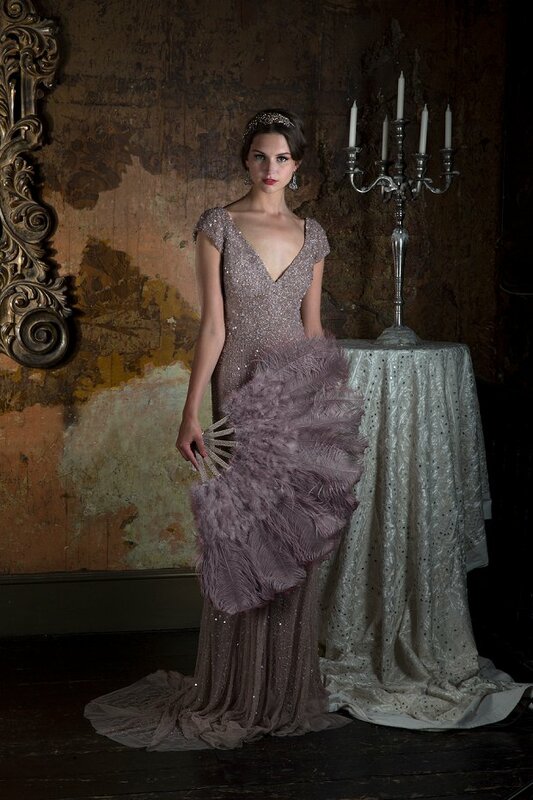 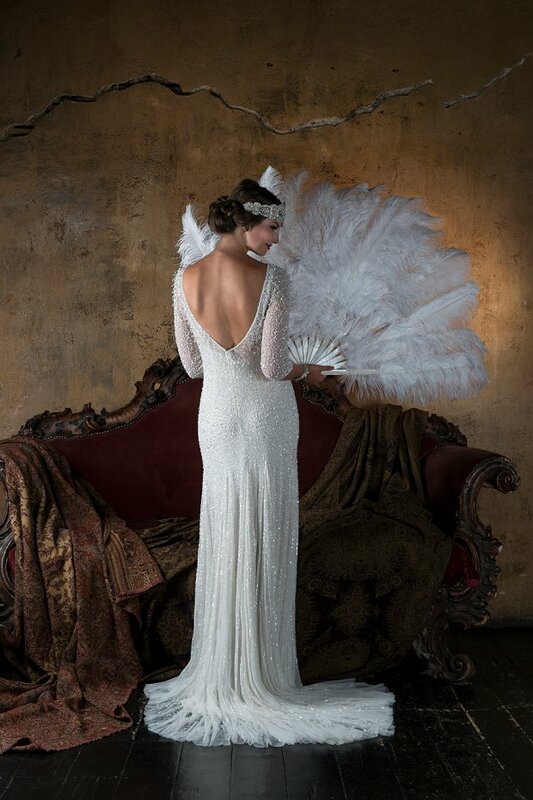 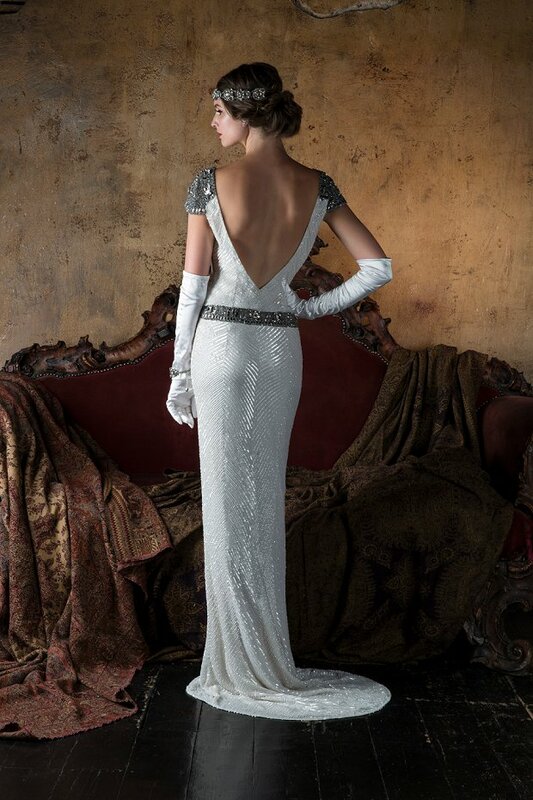 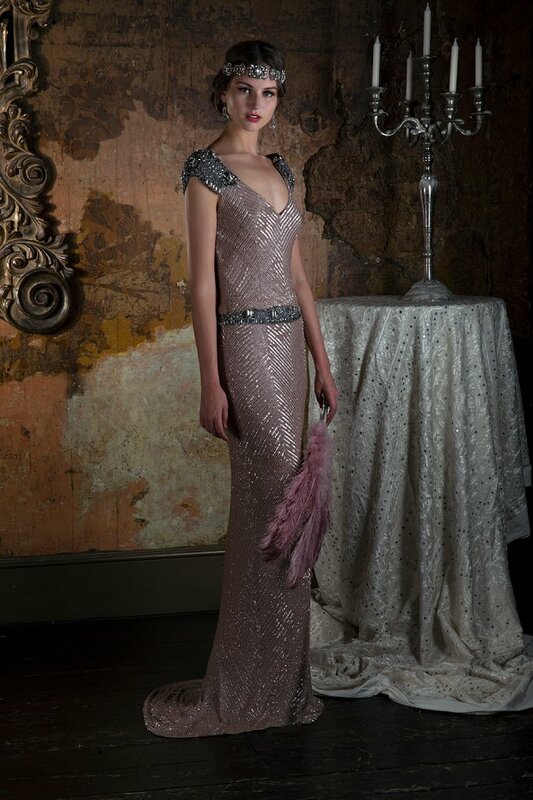 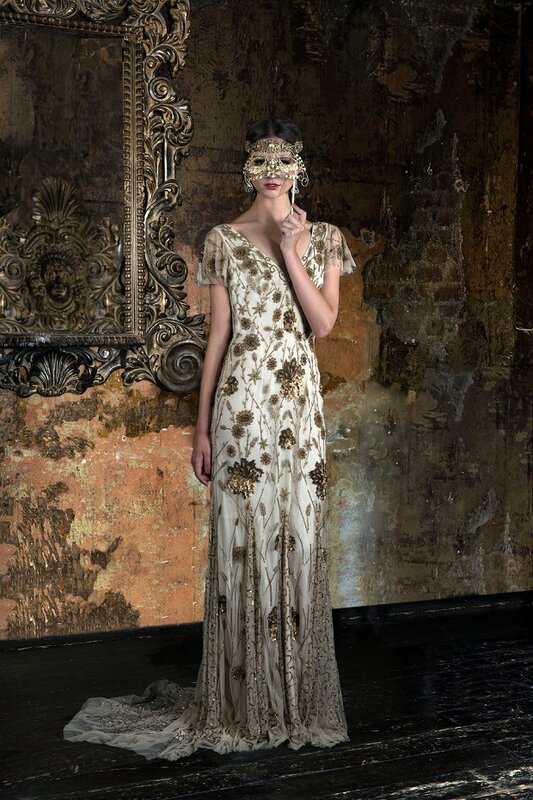 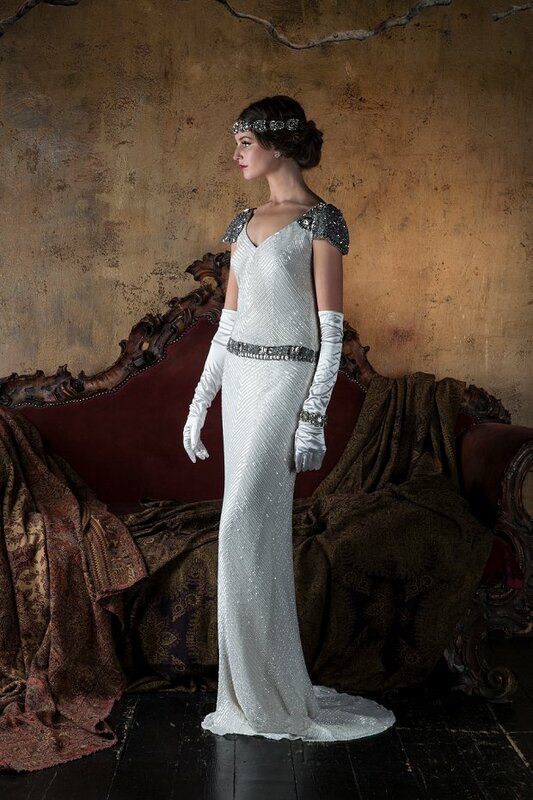 I’m blown away by today’s theatrical-inspired wedding dress feature. 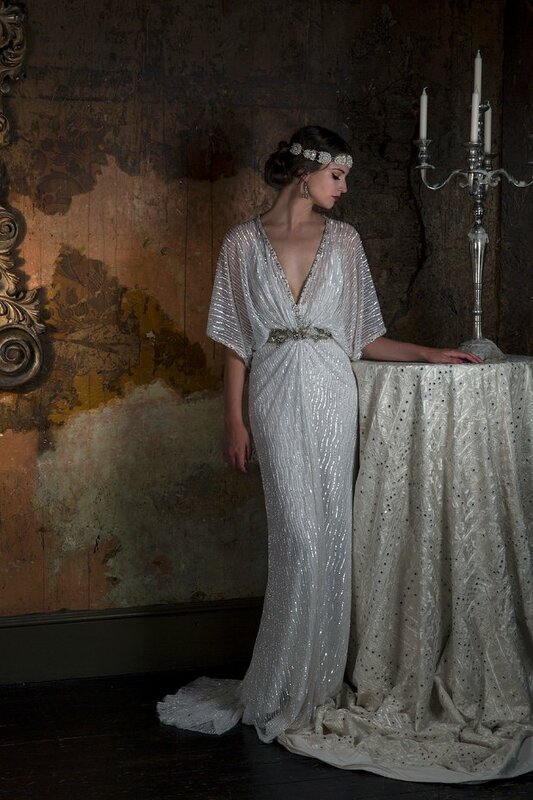 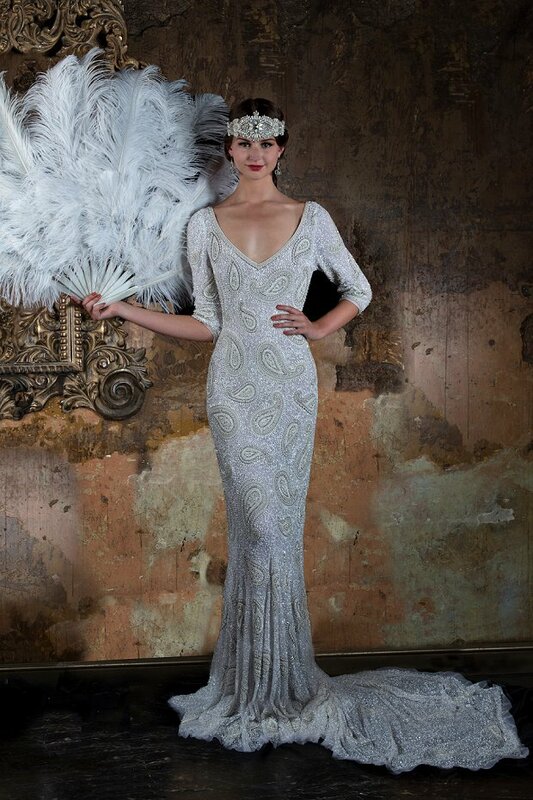 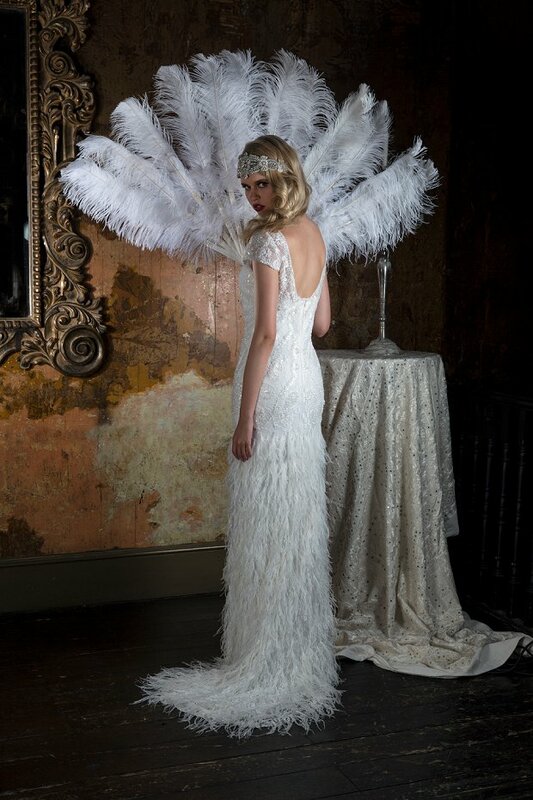 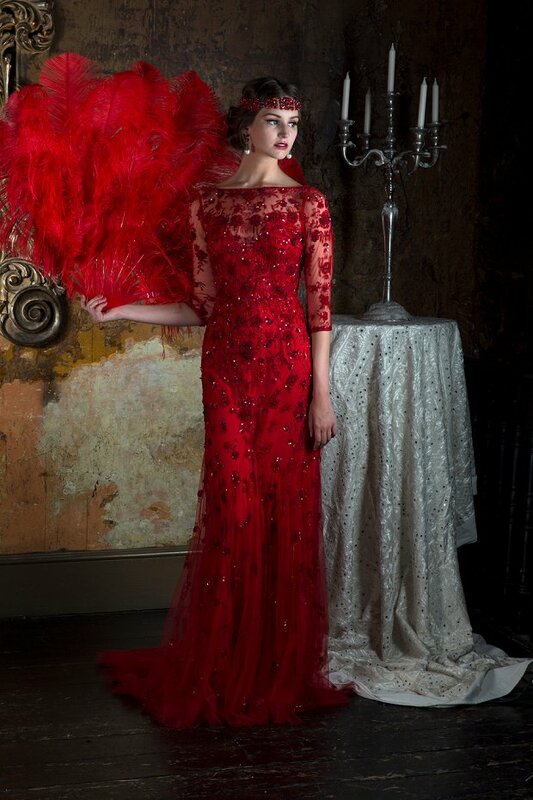 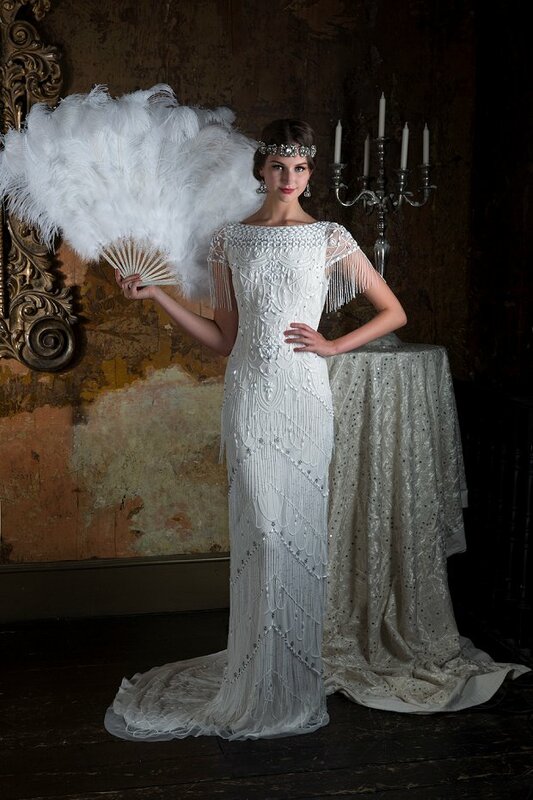 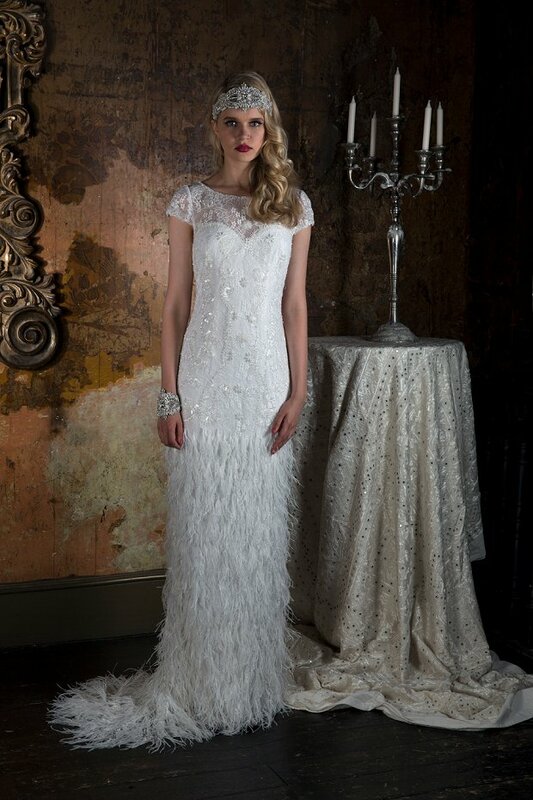 Gill Harvey has brought together her years of experience to create Eliza Jane Howell Bridal – and The Grand Opera Collection doesn’t disappoint. 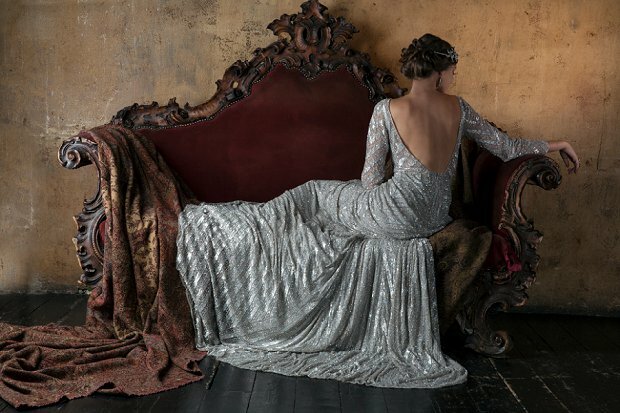 Inspiration for The Grand Opera Collection is taken from Gill’s love of opera and the vision, architecture and evocative stories of the theatre. 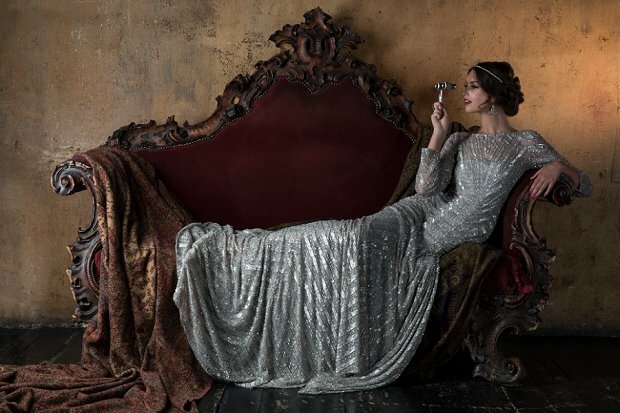 Dresses from this collection are named after famous female opera characters. 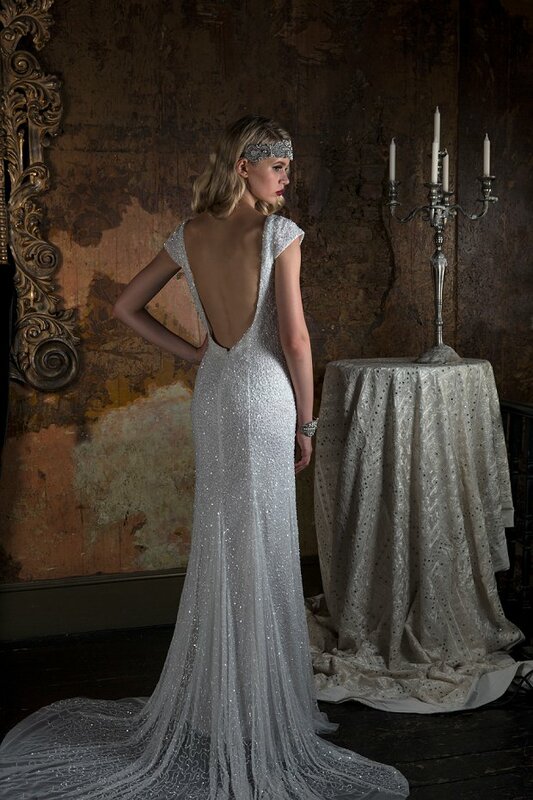 The drama continues with plunging backs and higher necklines to tease the audience / groom! 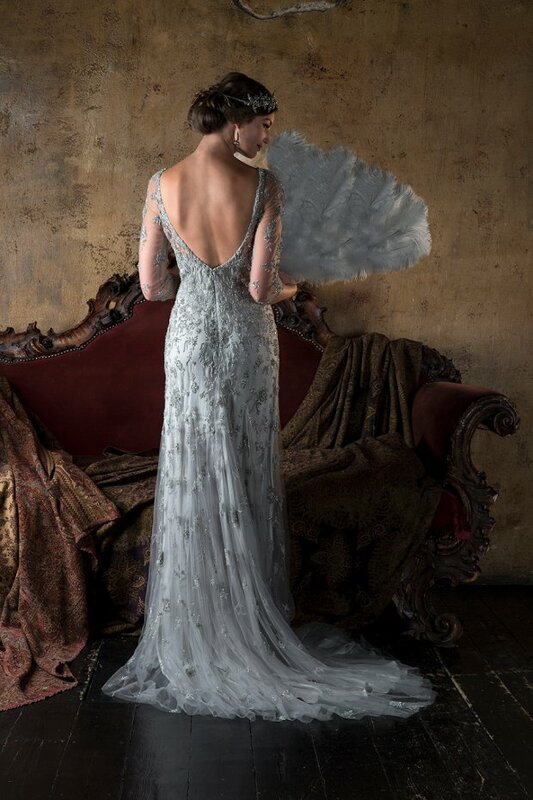 Colours are opulent and antique argent, opal and fawn feature heavily. 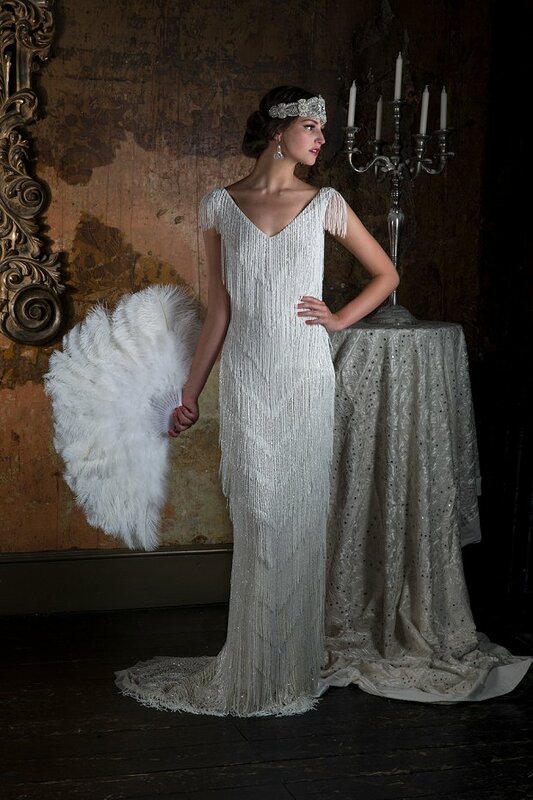 The dramatic pieces are balanced perfectly against the softer, romantic looks from Belinda, Echo, Delilah and Sylvia, which all have much softer beaded detailing. 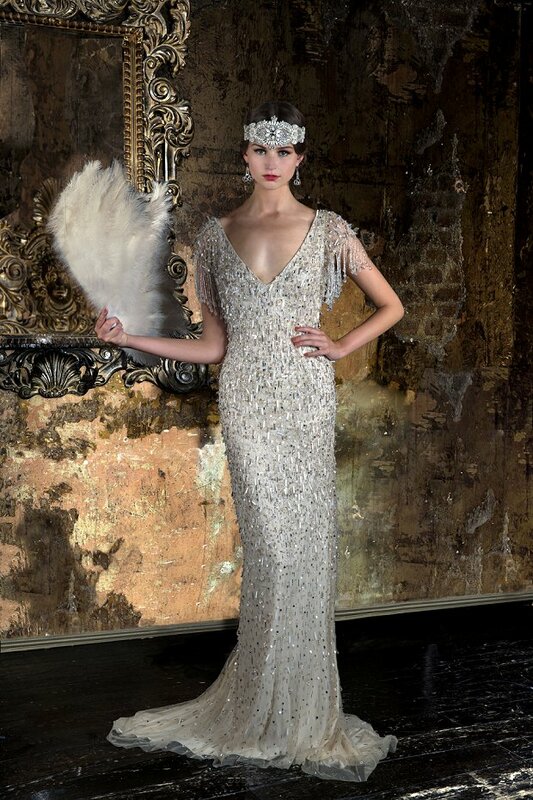 This beautiful collection is a combination of glamour, decadence and style, presented perfectly for timeless elegance. 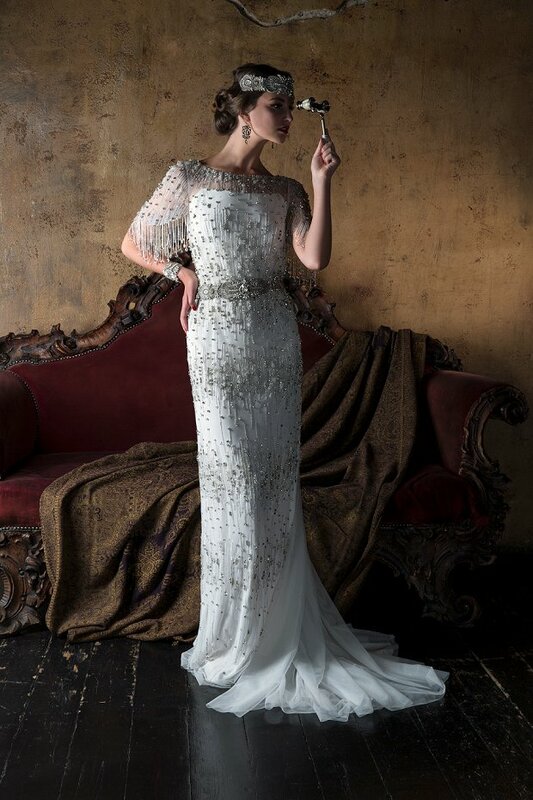 Looking through these beautiful gowns, I can see that if they had been around when I was getting married I would definitely have worn one – I adore the subtle coloured gowns in fawn – so unique and ultra glamorous. 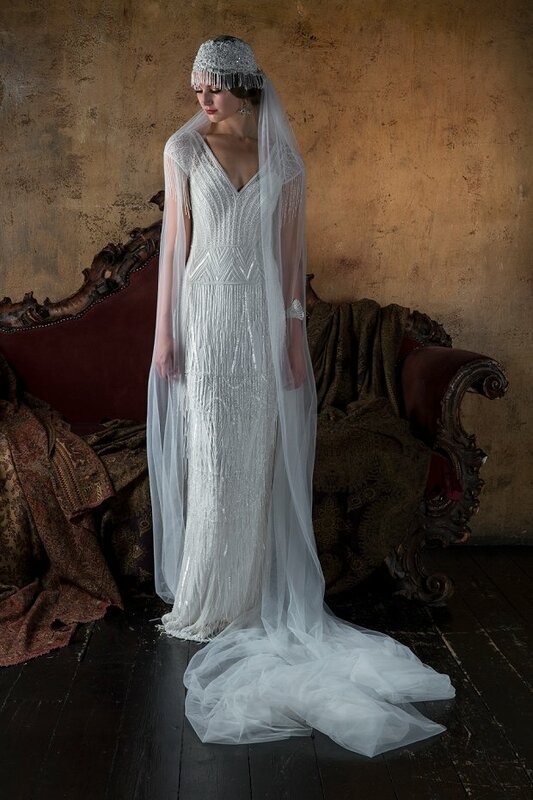 To browse more of Eliza Jane Howell’s amazing bridal collection or to find your nearest stockist, head on over to their website. 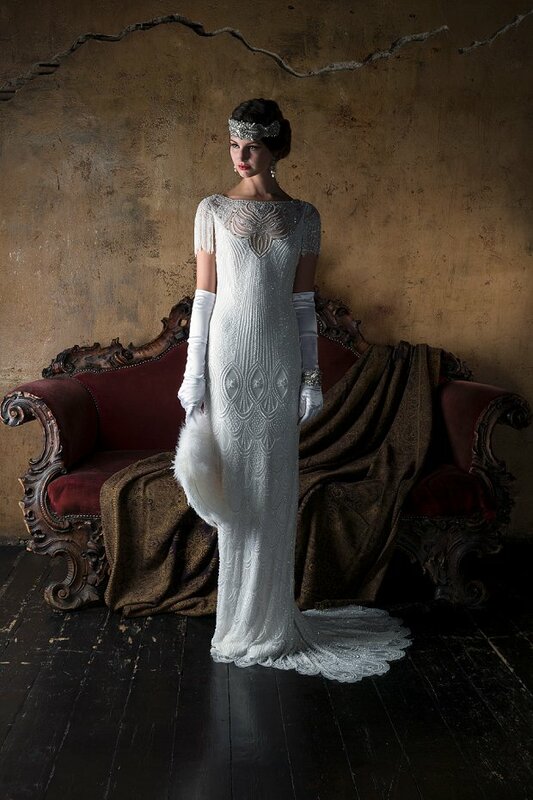 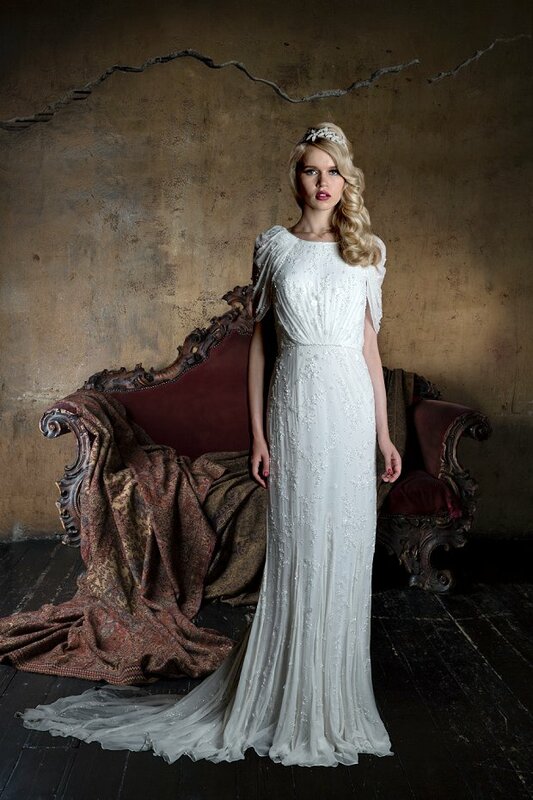 Want to see a real Eliza Jane Howell bride? 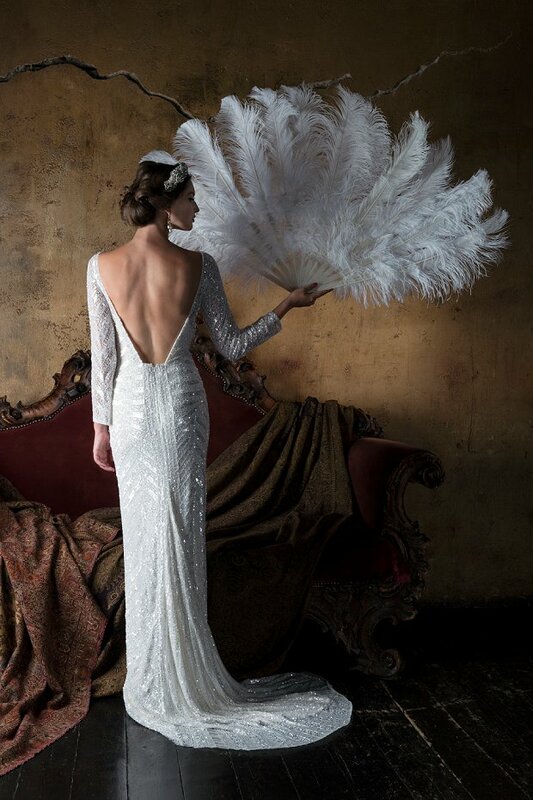 Check out this gorgeous SA wedding. 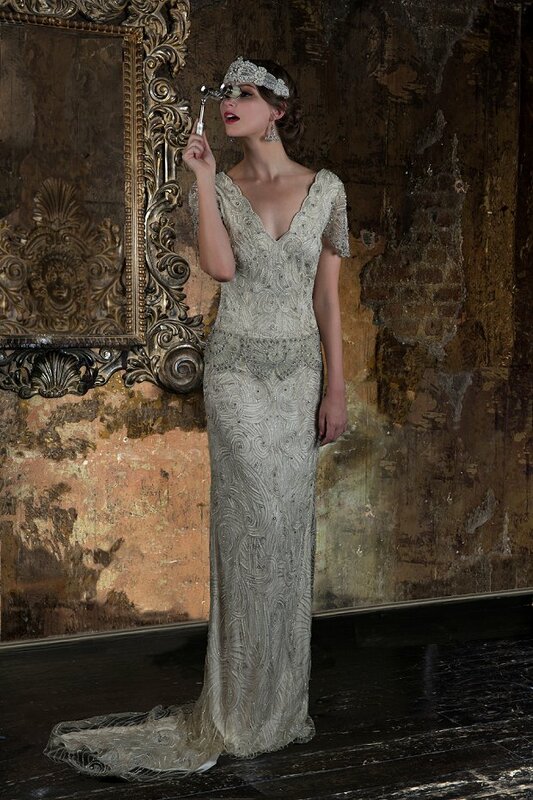 All of these are just GORGEOUS! 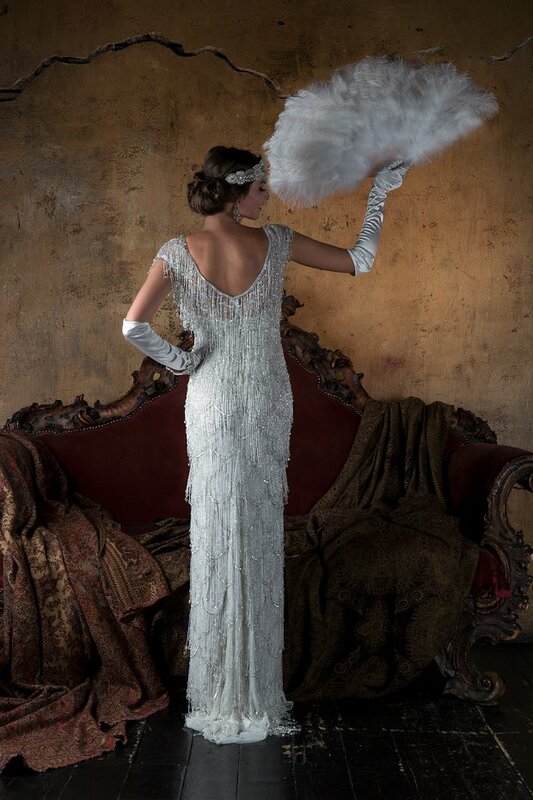 Like, can we talk about how luxurious all of these are? 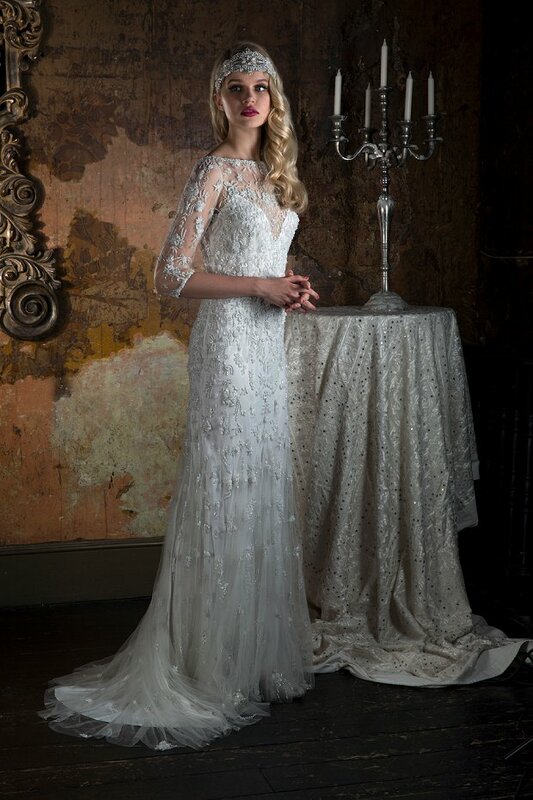 I want one and I’m not even a bride to be.